Priscilla Hutchins has been through many experiences. Priscilla “Hutch” Hutchins has finally completed a nerve-bending qualification flight for her pilot’s license. But faster-than-light travel is still a new reality, and the World Space Authority is still learning how to manage long-range missions safely. To make matters worse, efforts to prepare two planets for colonization are killing off native life-forms, outraging people on Earth. Jack McDevitt is a former naval officer, taxi driver, English teacher, customs officer, and motivational trainer, and is now a full-time writer of novels, including the Alex Benedict series (Coming Home, Firebird) and the Priscilla Hutchins series. He is also the co-author of The Cassandra Project with Mike Resnick. 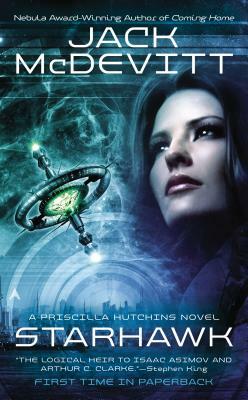 Jack's novel Seeker won a Nebula Award, and he is a multiple Nebula Award finalist. He lives in Georgia with his wife, Maureen.